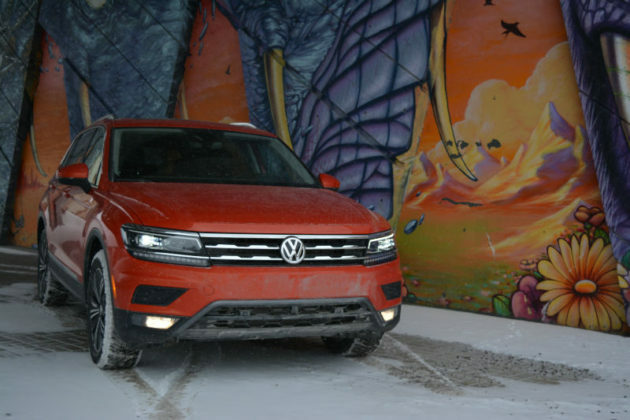 Volkswagen was late joining the SUV game mid-way through the last decade with the Touareg, but the follow-up Tiguan and Atlas have proven to be massive hits for the Germans. 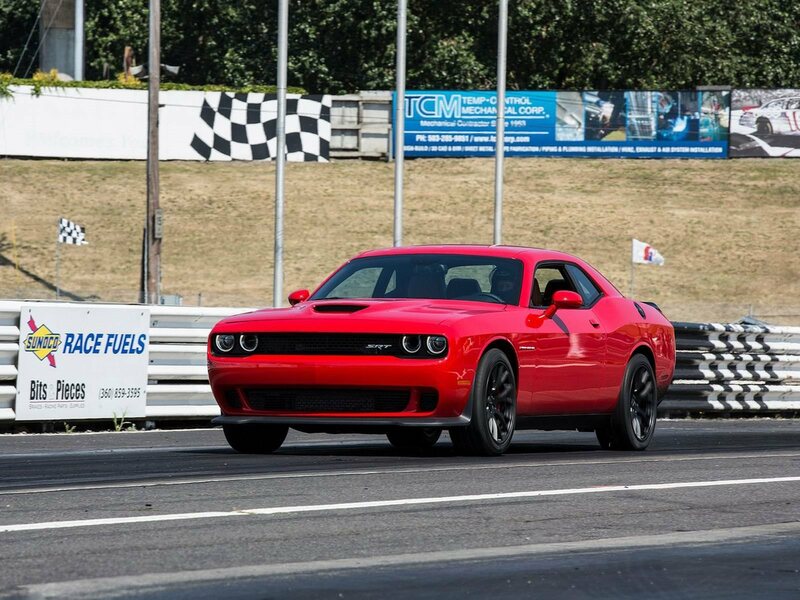 On the other hand, the 2019 Volkswagen Tiguan has some tough competition to battle. 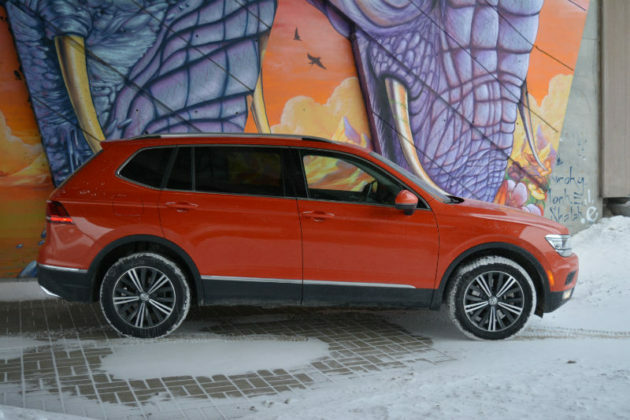 Compact SUVs nowadays need to be just about perfect to have any chance of cracking the top 5 in their segment. 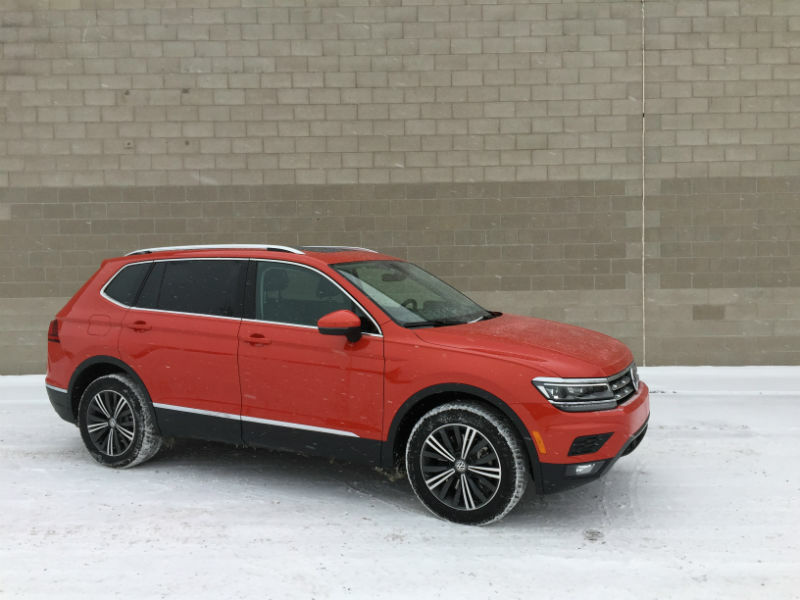 The first generation Tiguan was more AWD GTI with no trunk and although it served many families including my own pre-children, VW’s 2nd generation rebuttal to larger more popular compact crossovers such as the Toyota RAV4 and Jeep Cherokee has not gone unnoticed. 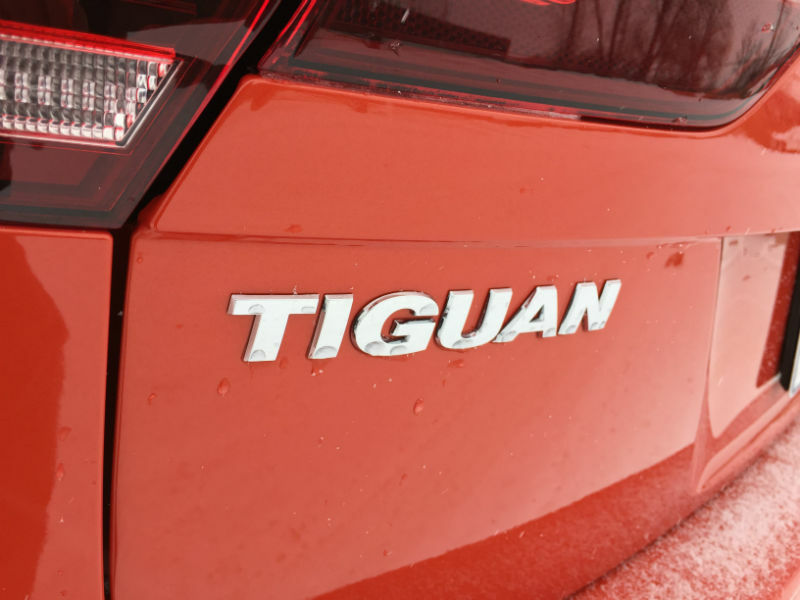 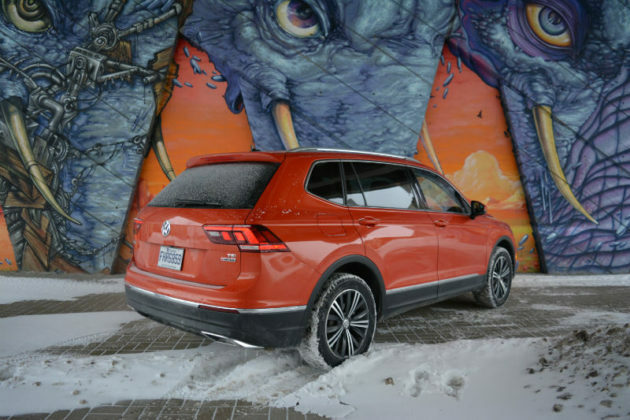 The new Tiguan has met and exceeded both manufacturer and customer expectations for reasons that are easy to grasp. 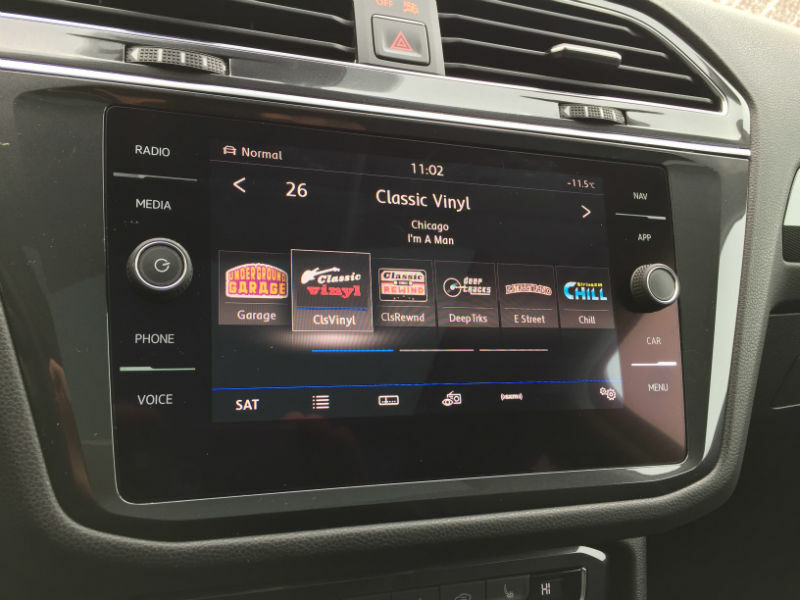 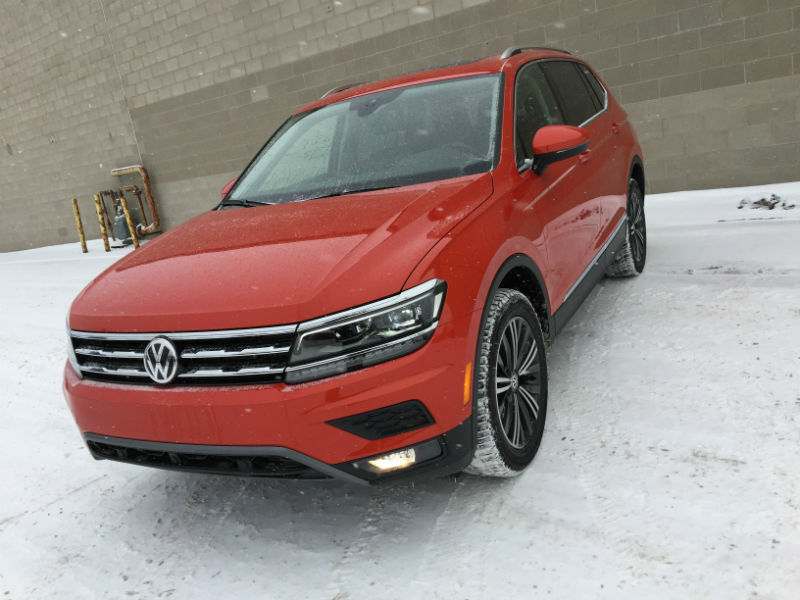 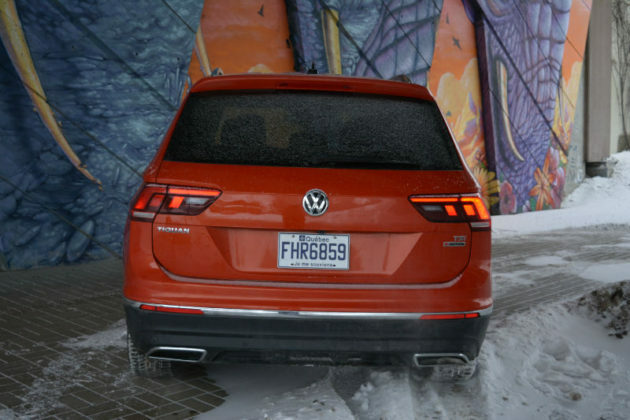 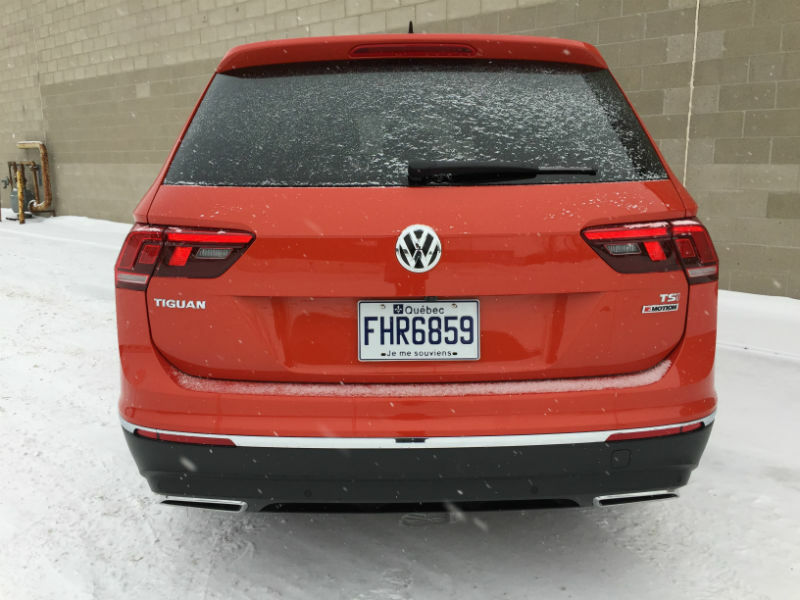 Not everything is perfect with the 2019 Volkswagen Tiguan however so let’s take a closer look at the crossover. 1) It’s spacious. 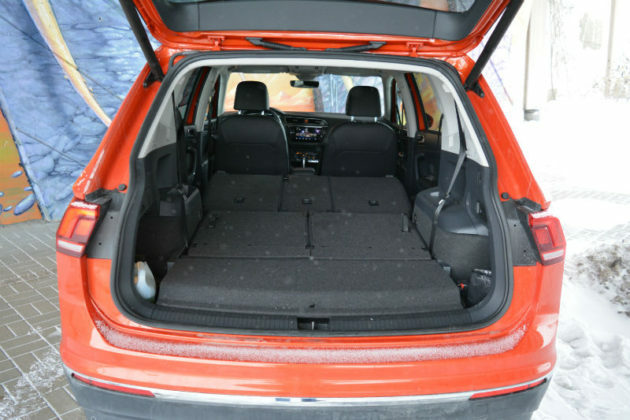 As in huge when compared to the previous vehicle. In fact, other than wanting to purchase a VW product, the number 1 reason for considering the Tiguan is that its cargo and passenger volumes are some of the largest in the segment. 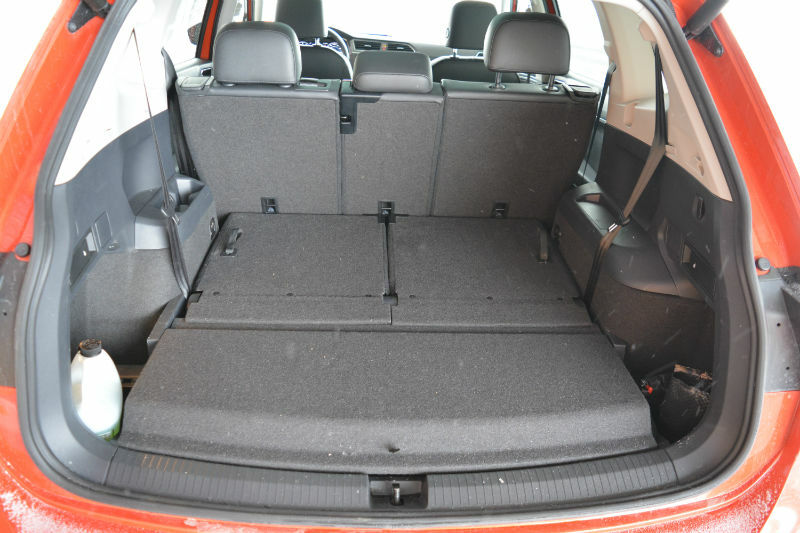 2) The boot, with the optional 3rd row stowed and up to the 2nd row is an impressive 1,065 litres. 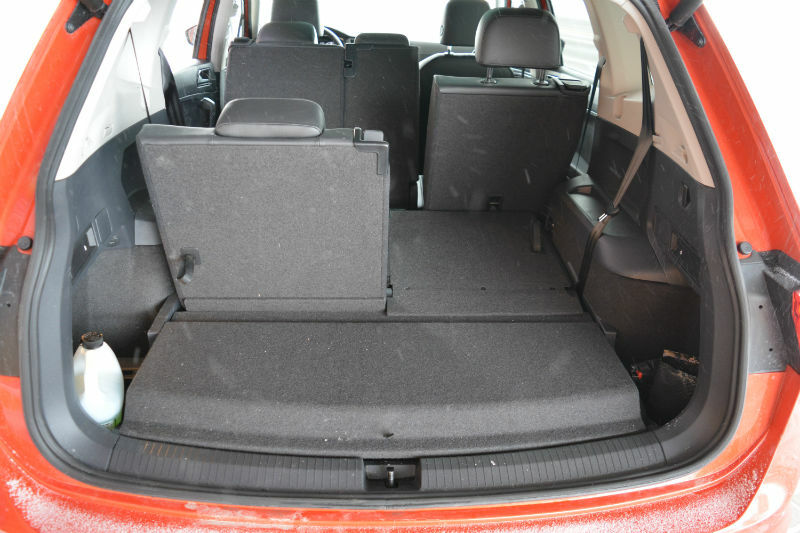 Max cargo space jumps to 2,081 litres when needed. The Tiguan’s 2,863 litres of passenger space edges out the Toyota RAV4. 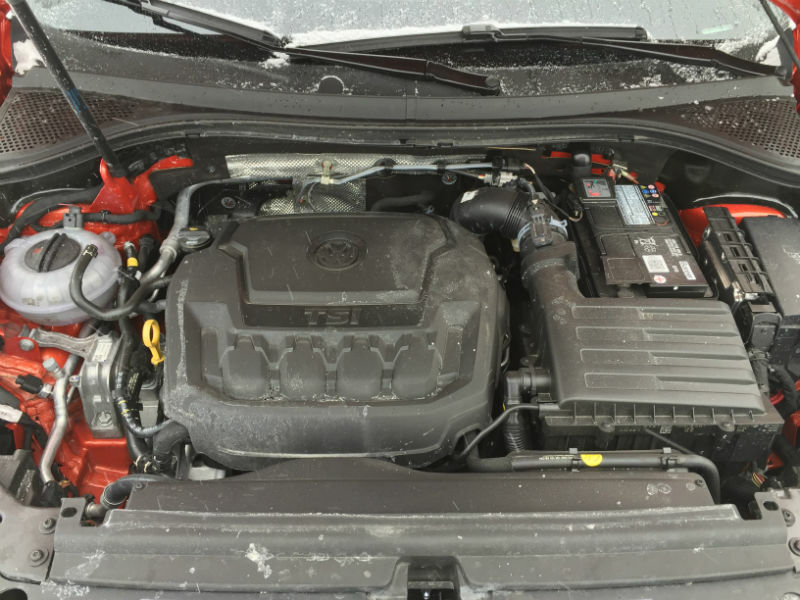 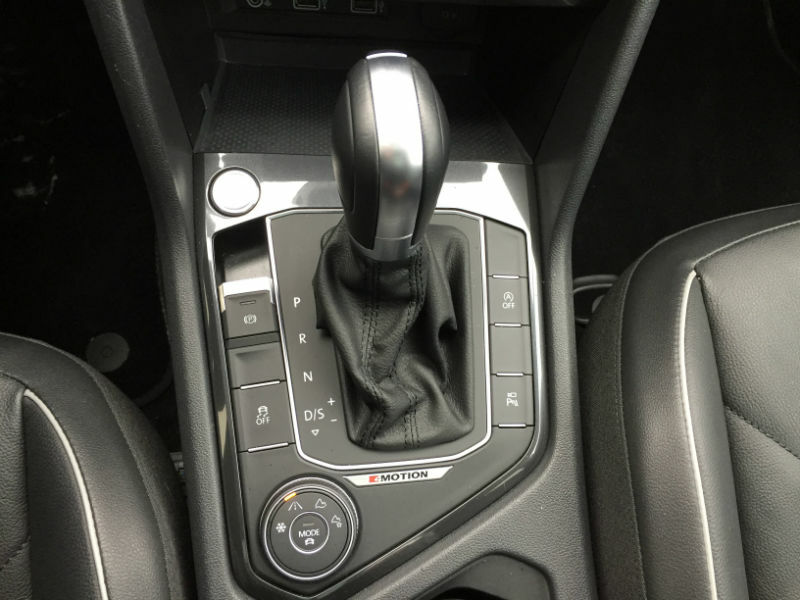 3) The sole powertrain offered with the 2019 VW Tiguan is a 180-horsepower turbocharged 2.0-litre 4-cylinder engine mated to an 8-speed automatic transmission. 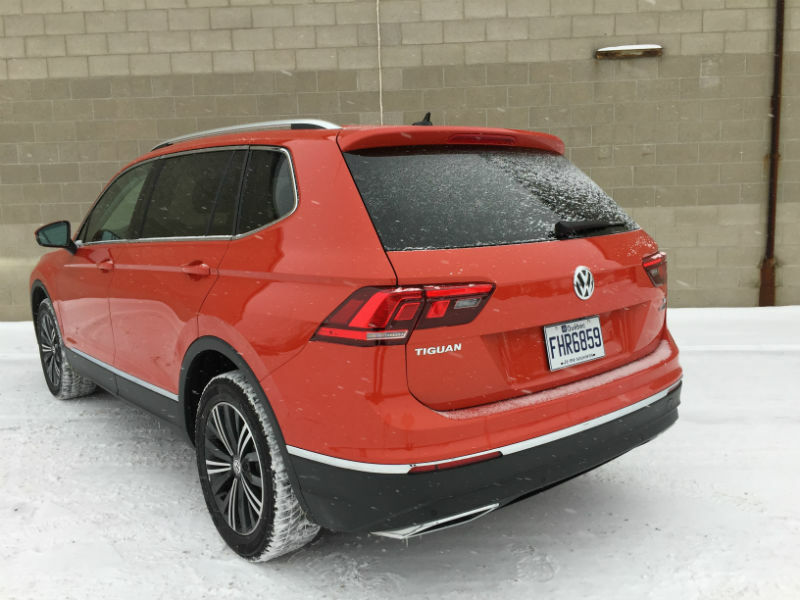 FWD is standard with the $29,225 Trendline and 4MOTION AWD is a $2,200 option. 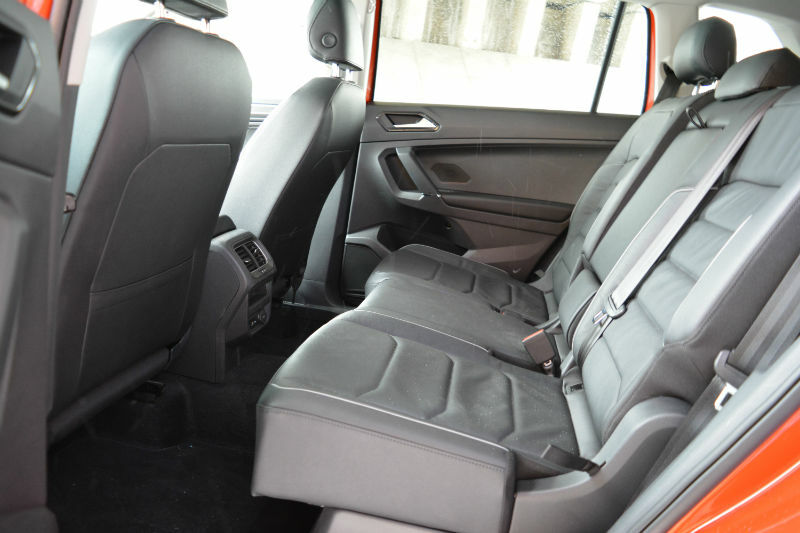 The follow-up $34,675 Comfortline and $39,575 Highline trims contain 4MOTION. 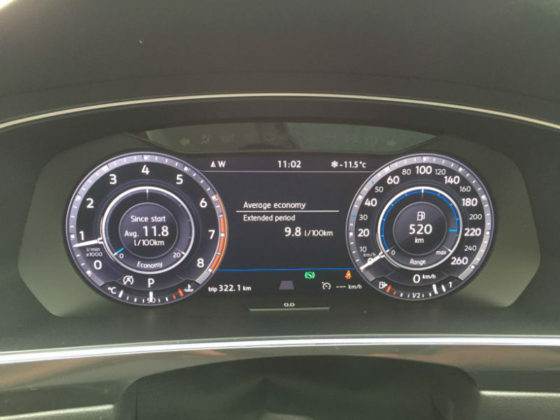 4) Standard equipment levels are good. 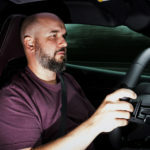 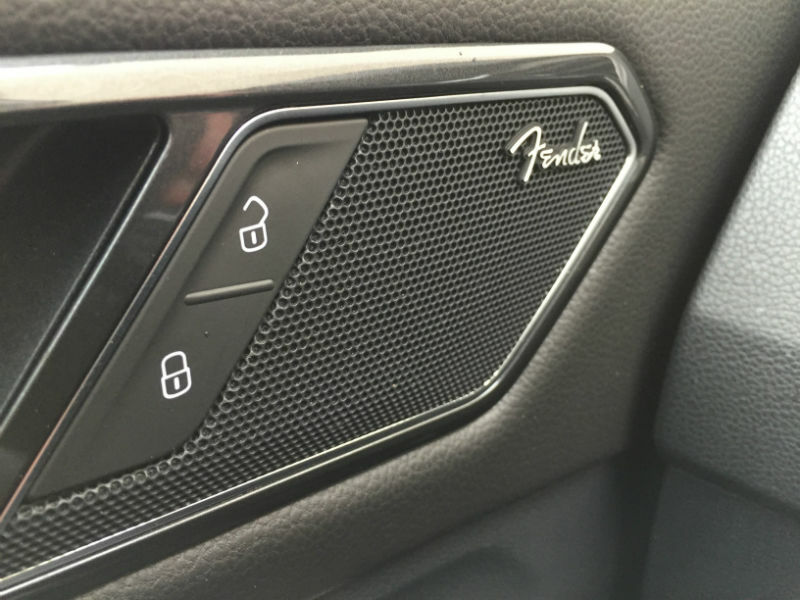 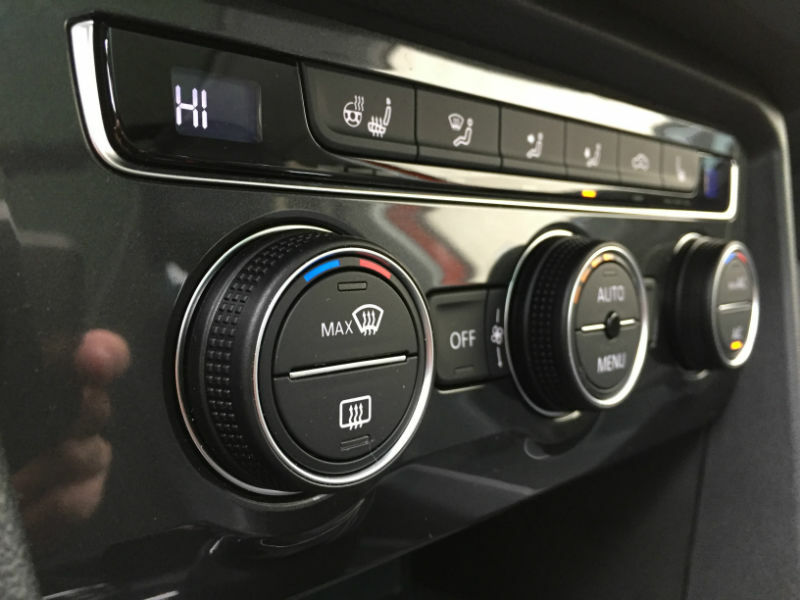 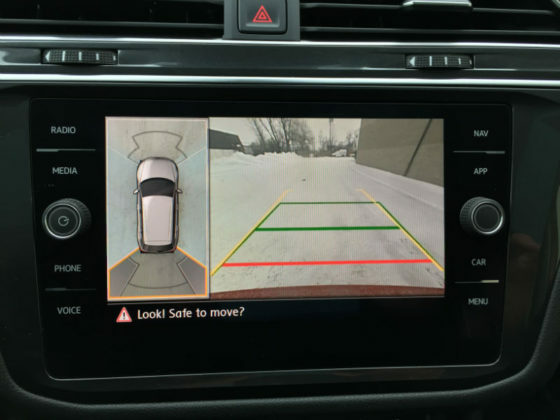 Basic kit includes App-Connect smartphone integration (Android Auto, Apple CarPlay, MirrorLink), 6.5-inch touchscreen, LED daytime running lights and 17″ alloy wheels. The Comfortline version is the better bang-for-the-buck with its heightened level of features such as Front Assist, Blind Spot Detection with Rear Traffic Alert, power liftgate, keyless access with push-button start and 8-way power driver seat. 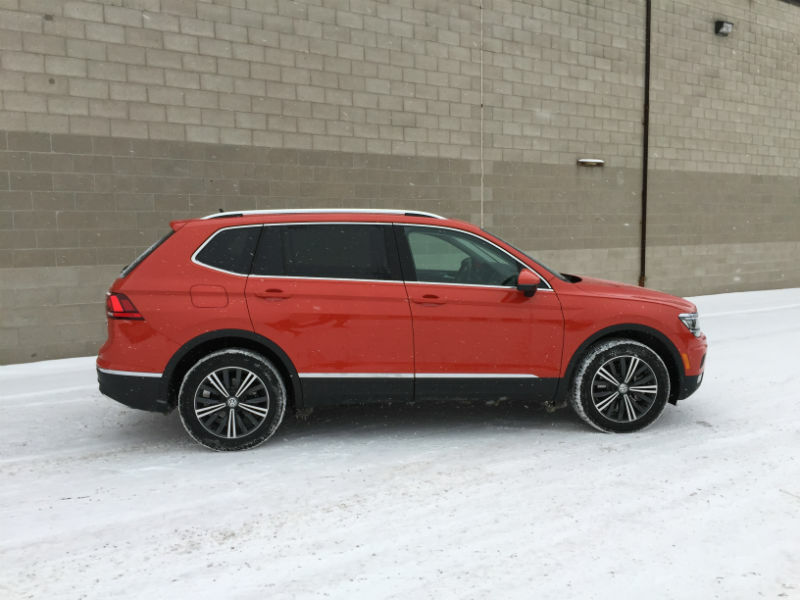 5) On the road, the 2019 Tiguan is generally comfortable, quiet and well behaved. The 2.0T provides plenty of get up and go without requiring frequent pitstops for fuel. 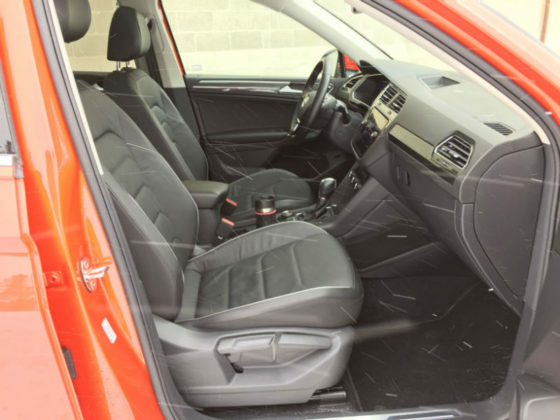 The drive can summarize with good refinement, limited sportiness and generally appreciable. 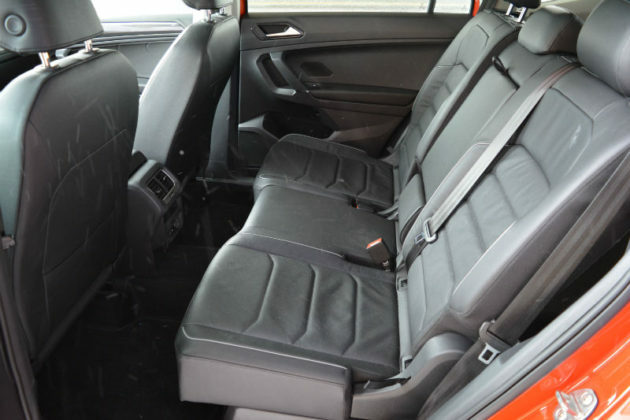 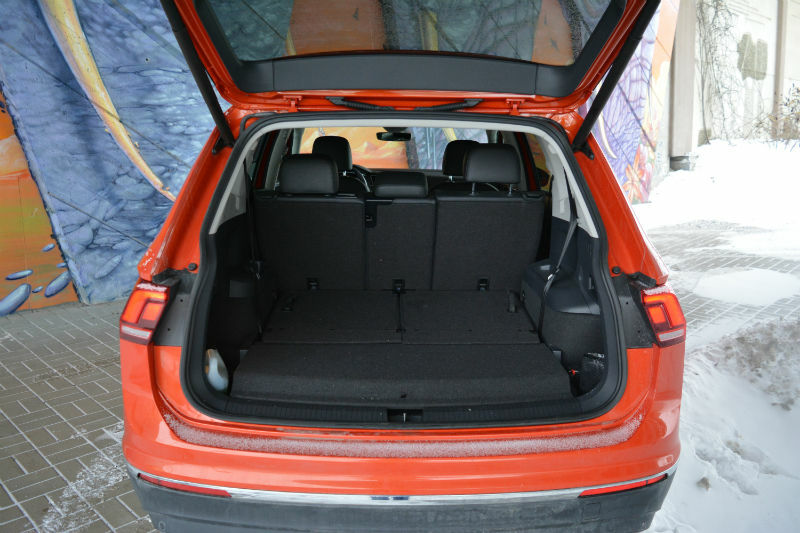 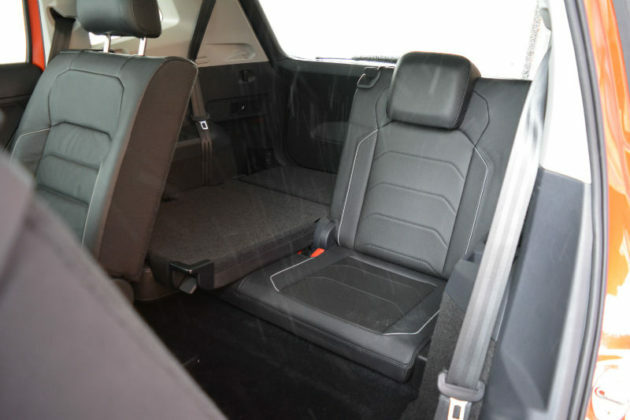 1) All Tiguan trims can be outfitted with an optional $750 3rd row 50/50 folding bench. 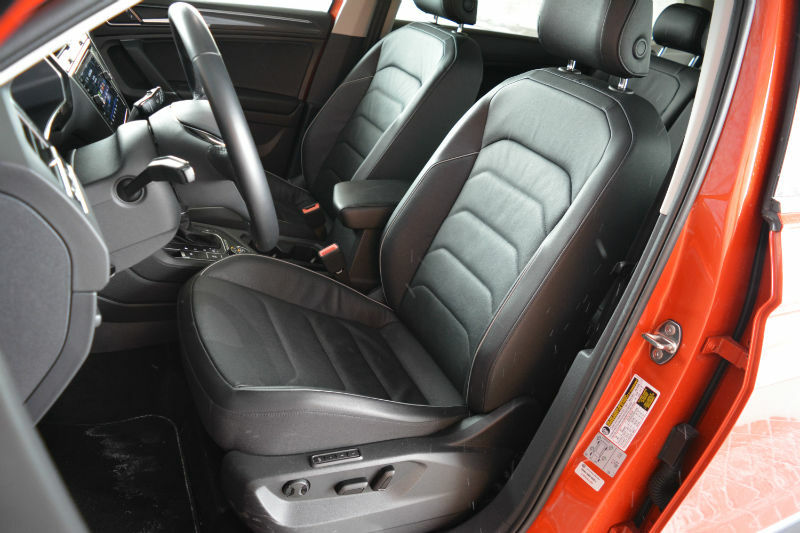 Other than accommodating kids under the age of 10 that no longer require a booster seat, the option is completely useless. 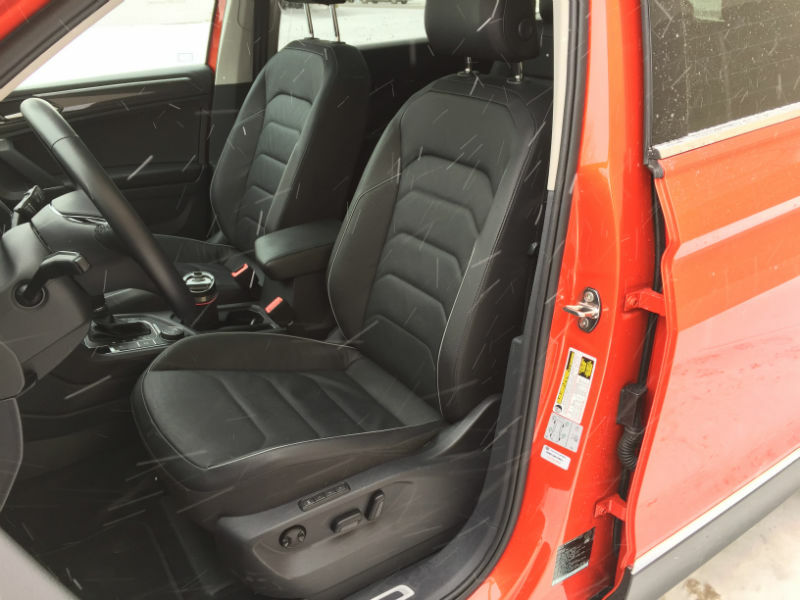 If you really need three rows, get the Atlas. 2) Also related to comfort, the Tiguan’s front seats are not the typically supportive Volkswagen perches. 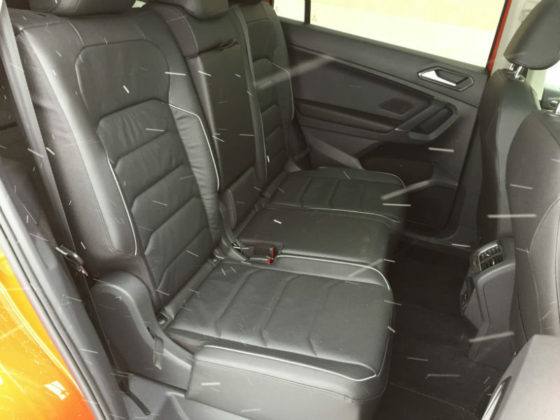 They’re fine for short drives but by minute 20 or so, the front passenger might be looking for a more comfortable position. 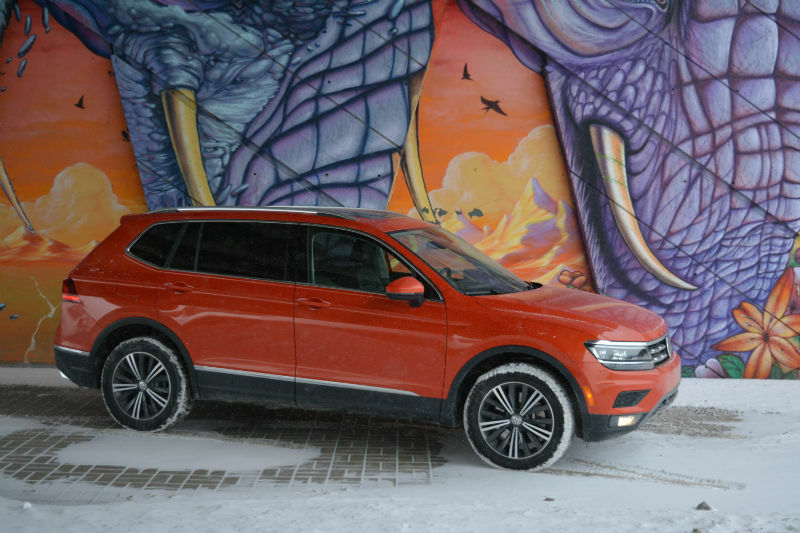 3) Finally, although the Tiguan’s road manners are good, it does not feel or respond like the average Volkswagen. 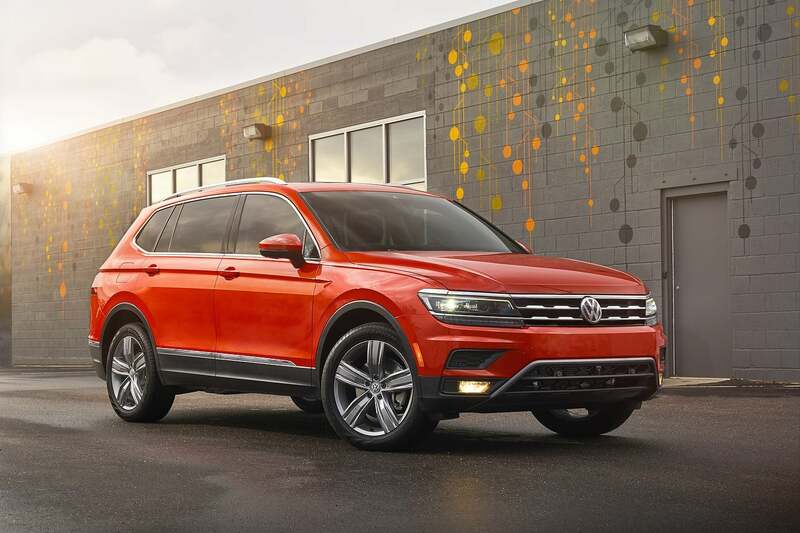 Actually, we think the far larger Atlas is a better driver with more in common behaviour-wise with a Golf than the Tiguan. 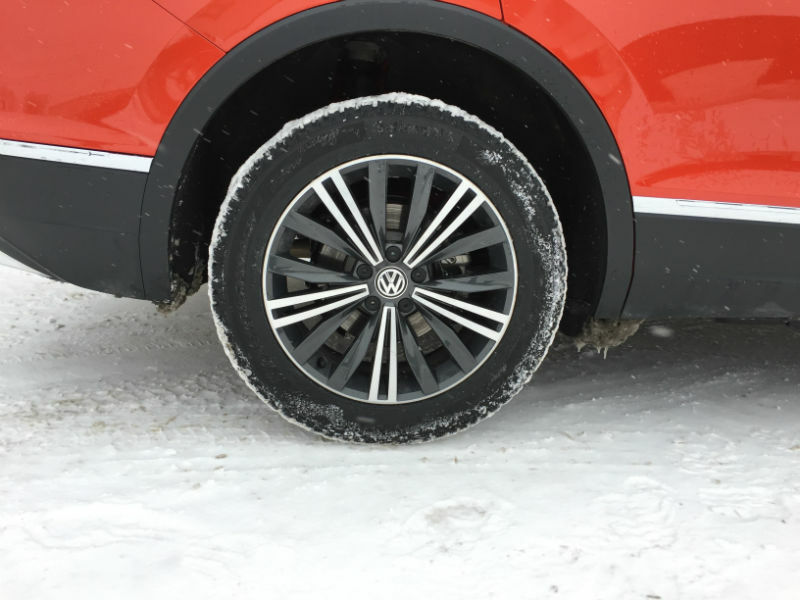 This is only an issue if you are searching for the typical VW driving experience. 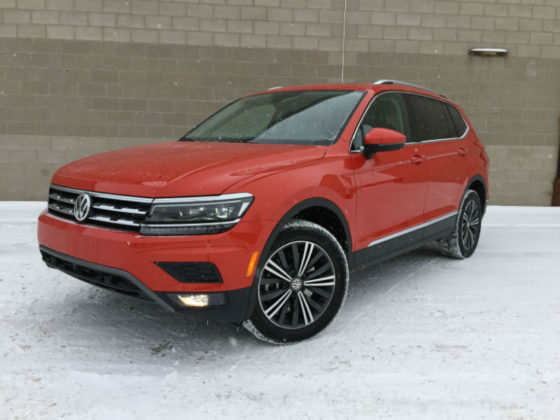 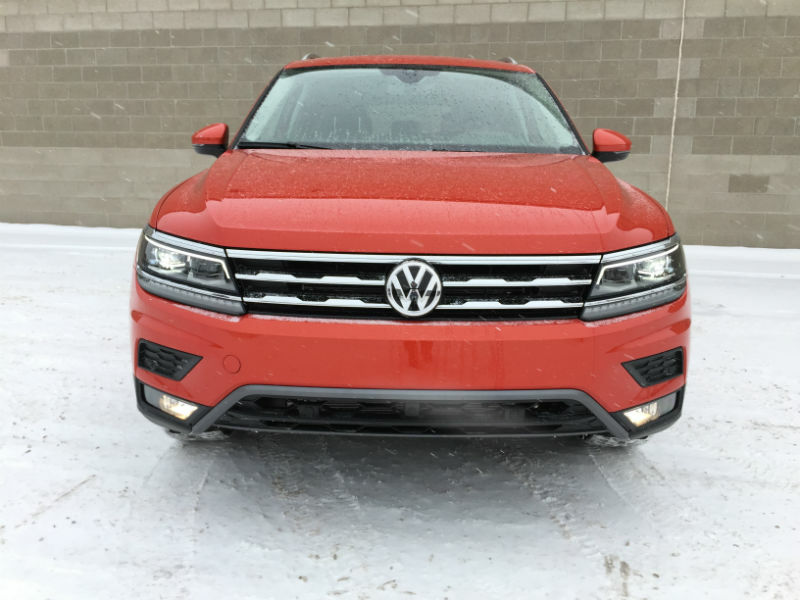 We won’t tell any of them to look elsewhere as the new 2019 Volkswagen Tiguan is not only handsome but fairly capable, and border-line upscale. 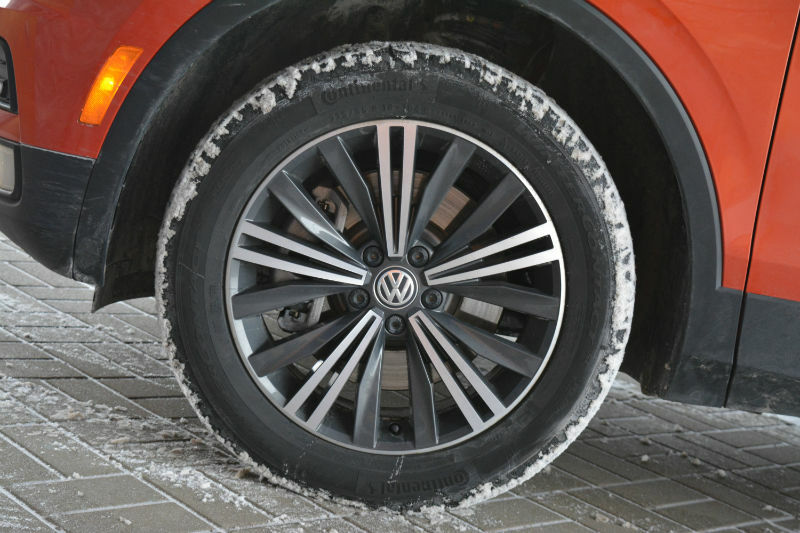 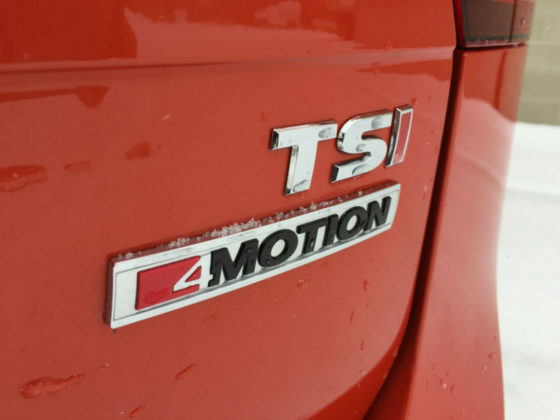 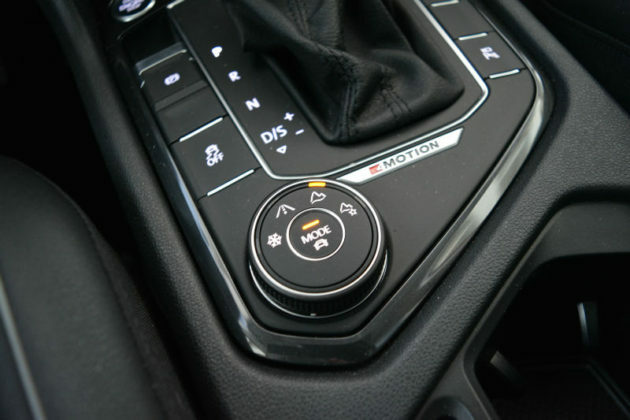 We will recommend 4MOTION AWD and sticking to the Comfortline trim for its value and decent level of features. To the friend’s shopping list, we’d add the default Toyota RAV4, Subaru Forester and Mazda CX-5 as comparables. 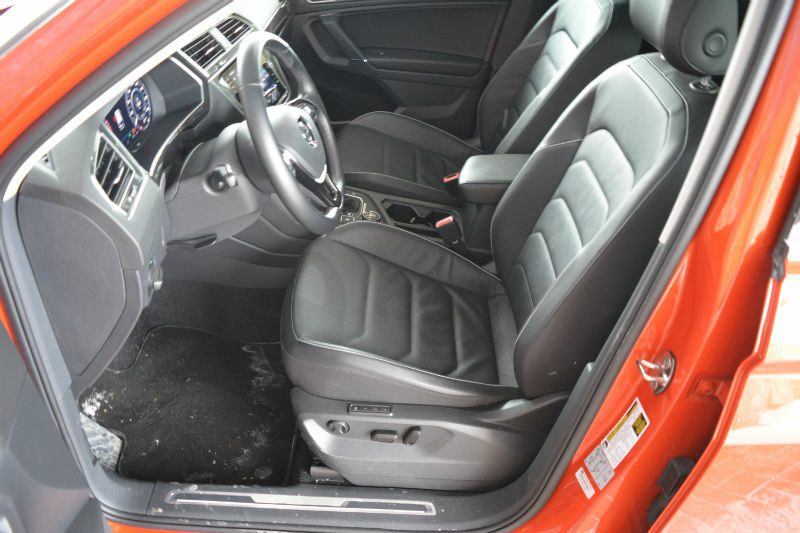 Because of the hit-or-miss front seat comfort, we’d strongly suggest a 30+ minute road test before a purchase. Previous articleRemember the Subaru SVX?